“Monasterium” emerges from a study of the Celtic Church. It does so largely unaffected by the shadow of the current “nostalgia” for Celtic times. It is arguably a “distinctive” of that Church, but may not be wholly unique to that era [the writer believes the idea reverberates down history in various ways – if only as echoes – while it is not exclusive to any one tradition]. However, because Celtic times are presently “in favour” and able to avoid the “noise” of disputes concerning other periods of history, it does allow the concept of monasterium to stand clear. Colonies of Heaven is not a Biblical phrase, though it sounds like it. Yet it is probably the best phrase to convey the idea of monasterium. Firstly, our “citizenship is in Heaven”, and there is no doubt that the Celtic view of life was rooted in the awareness of the heavenly as pervading the whole of life. We know this to be a “sacramental” view of reality. The Celts would say that heaven began about “one foot six inches above our heads”, but this did not necessarily mean a dual view as such, earth here, heaven there. There was as well a heaven/earth unity – especially as earth was increasingly affected by redemption and its transforming power: “Thy will be done on earth as it is in heaven”. Heaven wove its way into all earthly things and activity : yet as the sky is above our heads in a day to day sense, so heaven was “one foot six inches” above us. Our deistic temptations perhaps place heaven at a greater distance! Secondly, to lose sight of the awareness that the Celts had of heaven, is to lose sight of the dynamic context of their faith as it translated into works. Our day and age places a kind of “taboo” on things heavenly, and hence there is a danger of decoupling what we see of the Celtic Church’s works from their faith. Equally, Heaven is best experienced in Worship, and worship was central to the life of the monasterium within and without. Even now one hears of guides at monastic sites dismissing ancient worship as though it were something peripheral at the best and something wholly cloistered, remote, isolated and irrelevant at the worst. But for the Celtic Church, worship that did not engage with the world outside was not worship. Earth was His footstool and that was the Altar – so they took their instructions from the Throne of God before whom they stood in worship. If worship was key, then so was Prayer. That also follows from prioritizing Heaven. Prayer, it can be said was nearly “without ceasing” – in the good times of the whole monastic movement. Some argue that it was this constant prayer that first created Europe and then preserved it more intact than not from tendencies to destruction from within as from without. Hence Prayer was fundamental and critical and put beyond any possibility of mere lip-service. Thirdly, “it is a model of the Church that looks outwards”. It is true that the Celtic Church did not need to articulate mission statements :mission was simply assumed and implemented as part and parcel of their strategy. It was expected. [Many were not allowed to serve in the place where they were trained. Others had what seemed to be a kind of “wanderlust”]. 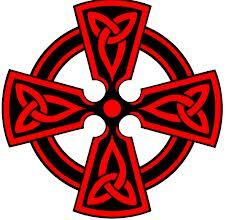 It was the Celts who, by taking the Gospel to Russia, were one of the foundational influences in that territory. And their tactic was the same whether near or far. Send people, use “presence” and engage the surrounding districts by the “ripple” effect. Finally, to be aware of heaven, and God revealed in all things, was not to deny the position of Christ. 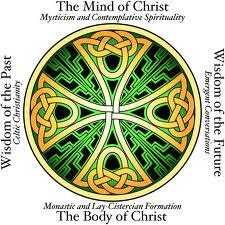 The Celts would have resonated with Benedict : “our goal is Christ”. The idea of Colonies of Heaven works out if we think, not so much of monasterium, but of “Minster”. The latter translates the former, in any case. 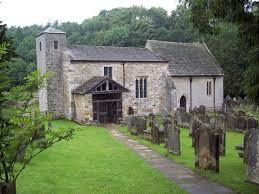 But Minster Churches were Mother Churches, spawning offspring Churches. They were the core resource. One centre, one strategy, many tactics and many localities. [cf the Trinitarian resolution of the “One and the Many”]. Various kinds [as we would say] of outreach, by multi-talented, multi-task Teams [as we would call them], effectively assured the development of daughter churches as gifts were discerned amongst those new Christians at the new localities. [There is some overlap between Monastic cores and the later Parish cores – but we can leave that discussion on one side for now]. Teams [usually at least three to begin with] were ordained and lay folk. 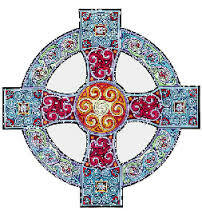 The focus was LIFE, and the Celtic Church for all its austerity was renowned for its cheerful people. Also as Gregory wrote of Benedict, “for that holy man could not have taught anything but what he had first LIVED”. After that the tools used to grow were : a ministry of presence and welcome, pastoral work, generous and constant hospitality [whereby some have entertained angels unawares], and generous works of relief, including healing. These were the “cutting edge” tools [though we might not think so, sometimes believing them to be more like blunt instruments] – at the “coal face”. The later phrase also points up that People came first. There was much interest in the discernment of gifts, because that decided the fit with the tasks to be done – and the fit with the Team. And because time constraints may be less critical, we can say that for today, the retired and aged have a distinct place and contribution! It was “collegiate”, a Family-like effort [cf, “muintir” the Irish word for Minster and meaning “family”, too], a Team in Community, a “collaborative” [chaplain-like] ministry. It was not individualistic. 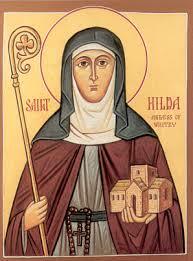 In fact, monasticism from the outset of the cenobitic movement was much like dealing with an extended family. The concept of monasterium helps deal with both the fragmentation of society and the increasing differences and dispersion that fragmentation creates. Some argue that we – as a society – are today moving into a post-modern tribal phase. Monasterium deals with that by a “sector” approach [handling the intense localisation inherent in tribalism]. It is wheel-like. From the hub activity radiates out by means of Teams and by the creation of cells [in homes at the outset] developing at their own speed and level. The spokes of the wheel need not be uniformly alike; variety and diversity are expressed but contained within an ultimate integrative and unifying ecclesiology [the Church of all Ages]. An over-riding collegiality and common commitment maintains flexibility. It is open door in approach – people to people. It is all something like [the best in] Group Medical Practice! Taking the Celtic “sacramental” view of reality, and linking that with their insistence that the Word of God is of greater “immediacy” [cf “lectio divina”] than we accord to it, then we can see what they meant by a “ministry of presence”. God present to us and presented to others! And where we have a sense of being “driven” – and kept close to burn-out, the Celtic way was “stability, rhythm and balance”. What is our analysis of the situation confronting the Church in our locality? Where boundaries on a denominational/sectarian models are likely to clash, can we network/work alongside other Christian Churches/institutions, without requiring months and years of negotiation? Are we a “hinge” people, standing at the cross-roads and responsible for handing on to the next generation? Can we do so – or at least start – on the monasterium model, and as a collegiate of largely U3A folk? What might Team/s mean – for us? Can we put together a strategy with tactics? Can we proceed step by step, walking before we run? What are the practicalities, and what might the timetable be? Monasterium as Minster lasted until the Parish system took over. Yet the “idea” of monasterium arguably did not disappear entirely. After all, monasteries co-existed with parishes and the influence of monasterium as a modus operandi, while it maybe was not thought of in quite the original terms, continued to inform outlooks. The concept of Parish tends to lay claim to “people-in-a-place”, and then it is claimed that Parish negated the effects of monasterium because the latter was less static and a more “central-core-and-outlying-cluster-of-cells idea”. Yet this aspect of the whole idea may be simply be expressed as “parish is monasterium geographically re-ordered”. This is because the value of “place” is not in the sole purview of either monasterium or parish. Alexander Pope asked us to consult the “genius of place”. It is quite a universal subject. Humans particularly need“ place” whether religious or secular – let alone whether monasterium or parish. “We are inveterate place-makers, and the way we are placed shapes the people we become. “…Life is inherently local, plotted in space and time”. We are all within the GPS orbit…for Christians the “God Positioning System”! It’s an “inescapable concept” ! The way the Church handles “place” conveys a silent message. If community and locality are ignored, then the Church can unconsciously promote that sense of displacement that, in a secular context, she criticises. Common Prayer has always meant the Community of the People of God – in a locality [before being universal]. It’s a question of feeling “at Home” and “of having a Home to go to”. Identity is spatial and local. “Global village” is still subject to the need for local erstwhile village-type village! Neither monasterium nor parish permit an “eclectic congregational ecclesiology”. The latter works against “being at home in a locality, and even, because of commuting to Church, being at home in a community of believers”. Although the monasterium expansion is by what we can term cells, it’s not simply a Policy of “the more the merrier” – or “the greater the number of check-outs, the greater number of people processed” Lesley Newbigin has the last word – “ the multiplication of cells UNRELATED TO THE PURPOSE OF THE BODY, is what we call “cancer” – Monasterium relates cell development precisely to the purpose of the body.